This personal project has been a long time coming. I am so excited to present my new website for Kate Alison Photography! I worked very closely with Kristen, of Kristen Poissant Studio, to create this beautiful, colorful rebrand of my wedding & portrait work. The goal of rebranding was to make sure my couples know exactly who and what they are getting when they book their wedding or portrait session. My images are full of love, life, color, personality, and sometimes glitter! It is so important to connect with your photographer and I want everyone I work with to know how special and unique you are. My work represents love of all kinds and telling a story with images is my true passion. Thank you to Kristen for bringing my vision to life, to Candace for my branding image session, to Megan of Art By Megan, and the rest of my Rising Tide Society community for their unwavering support, and of course, my love, Olivia. Couldn't have done any of it without you! 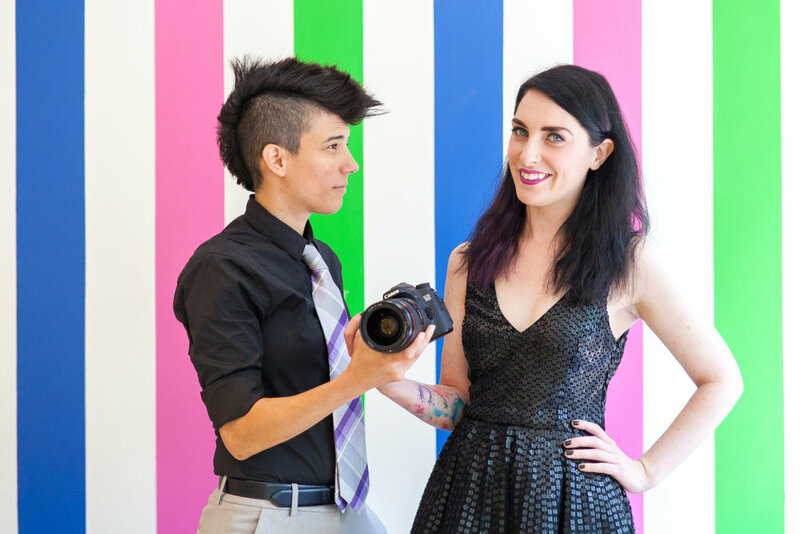 Welcome to the newer, brighter, shinier Kate Alison Photography! As an even bigger thank you, all full wedding collections for 2017/2018 are 10% off when booked by September 30, 2017. Cover image of Kate & Olivia by Whom Studio.